The world is not logical, so maybe success won’t be either. 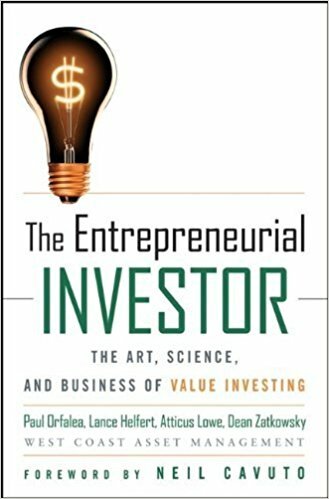 How infinite variability offers infinite opportunity and learning to live with uncertainty helps us sleep at night. Via xeography or Internet, it’s the low-cost flow of ideas that inspired innovation. Paul Orfalea’s Key Accomplishments Include . 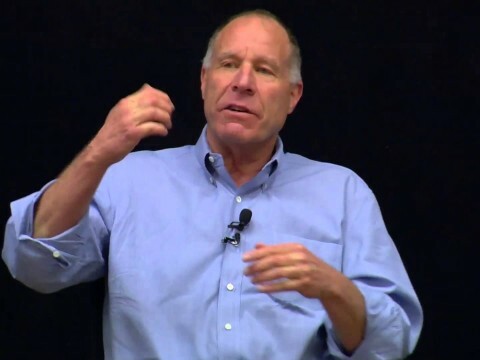 . .
Kinko’s Founder Paul Orfalea is a serial entrepreneur, philanthropist and author. Paul Orfalea founded Kinko’s in 1970 near the University of California at Santa Barbara with a simple idea: provide college students with products and services they need at a competitive price. The space that Paul Orfalea rented for his copy business was so small that the copy machine had to be lugged out onto the sidewalk. From its modest beginnings, Kinko’s is now the world’s leading business services chain. Today, there are over 1,500 Kinko’s worldwide. 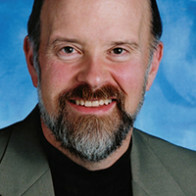 Much of Kinko’s success can be traced directly to Paul Orfalea’s unique business philosophy that was based on the founder’s freethinking, creative style. 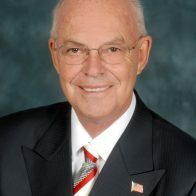 Orfalea’s theories and instincts on how to operate a successful business were grounded in his passion for retailing, his insistence on taking care of his co-workers and customers, and a sharp eye for opportunity. Through Paul Orfalea’s leadership, Kinko’s has taken an exemplary leading role in environmental responsibility. Paul Orfalea encouraged active participation from all 23,000 of his co-workers, and generous incentive programs were implemented to stimulate creativity. In fact, co-workers at every level were encouraged to share ideas freely in organizational decisions. A reflection of this success is that Fortune magazine selected Kinko’s as one of the “100 Best Companies to Work with in America” from 1999 through 2001. Forbes magazine also ranked Kinko’s 84th on its year 2000 “Forbes 500 Biggest Private Companies.” Working Mother magazine listed Kinko’s in its “Best Companies for Working Mothers” 2001 issue. Paul Orfalea is the author of Copy This! Lessons From a Hyperactive Dyslexic Who Turned a Bright Idea Into one of America’s Best Companies. This unique autobiography is filled with life lessons on overcoming obstacles and turning impediments into opportunities. 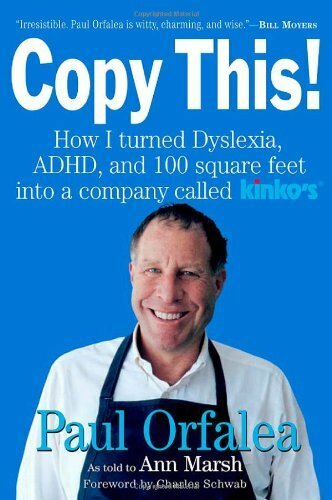 It reveals how Orfalea succeeded using his learning differences and unorthodox approach to business to mold a compassionate, unconventional, partner-driven culture that allowed Kinko’s to thrive. 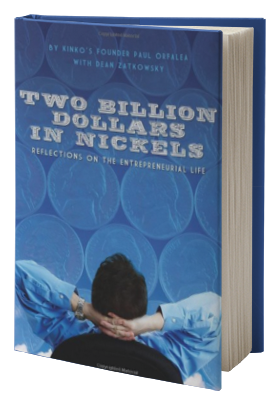 Paul Ofalea’s other books include The Entrepreneurial Investor and Two Billion Dollars in Nickels. In 2004, Kinko’s was acquired by the FedEx Corporation. Paul Orfalea is no longer involved with FedEx Kinko’s business management, refers to his retirement as being “repurposed” and is now involved in a range of business ventures. Entrepreneurship is not about owning a business; it’s about owning your life. Kinko’s founder Paul Orfalea’s entrepreneurial philosophy melds business, personal finances, lifelong learning, and the pursuit of happiness. Paul Orfalea is in high demand for public speaking, often addressing business organizations, entrepreneurs, working people and learning-challenged groups with his inspirational messages. More About Paul Orfalea . . .
Paul Orfalea, his family and Kinko’s have a long history of supporting educational initiatives, including scholarships and child development programs. In 2000, the family started the Orfalea Family Foundation, which supports various philanthropic areas. 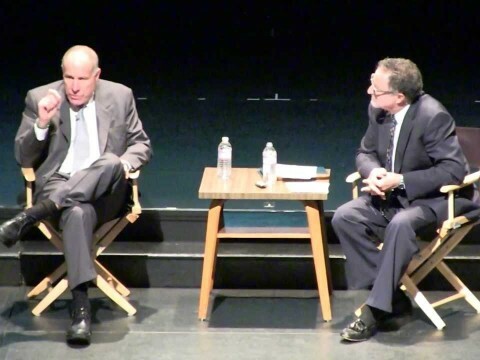 Grants have been concentrated in California, especially child development facilities on college campuses, along with other children’s centers and programs for underprivileged youth. The foundation specifically focuses on early care and education, caregiver training and intergenerational programs. The Orfaleas also support organizations addressing “learning differences” for those challenged with unique learning styles. Another of Paul Orfalea’s efforts is to increase public awareness of the important need for businesses to support “family-friendly” work/life policies including flex time and quality early care for children of working parents. Mr. Orfalea has worked with government leaders to encourage businesses and educational institutions to provide these benefits to co-workers and students. 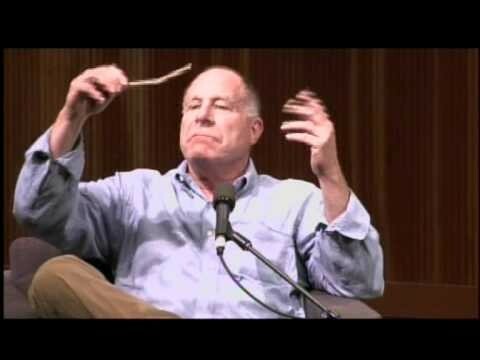 Paul Orfalea frequently teaches at University of Southern California (his alma mater), UC Davis, UC Santa Barbara, as well as various community and state colleges, and he has taught at NYU, Princeton, Harvard, UCLA and Wharton School of Business among others. 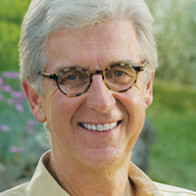 Cal Poly has dedicated a business school in the Orfalea name in honor of his ongoing contributions. Forbes, People and Fortune magazines, along with the New York Times, have profiled Paul Orfalea as one of several prominent leaders who has overcome dyslexia and gone on to have an illustrious career. 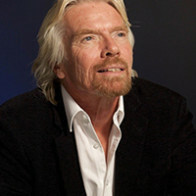 Other prestigious awards include the 1992 Outstanding Learning Challenged Citizen Award given by former President George HW Bush Sr.; 1998 Entrepreneur of the Year Award from the University of Southern California’s Marshall School of Business; and the 2000 Association of Fundraising Professionals Philanthropist of the Year. 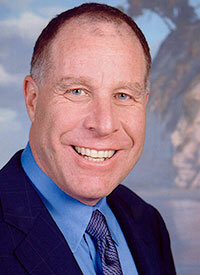 In 2005, Paul Orfalea was awarded Philanthropist of the Year by the Association of Funding Professionals. In 2006, the Attention Deficit Disorder Association established an annual Paul Orfalea Award. Despite all of these high profile activities, you will find Paul Orfalea very down to earth, friendly, compassionate and continually curious about the world around him – he is a true modern adventurer.